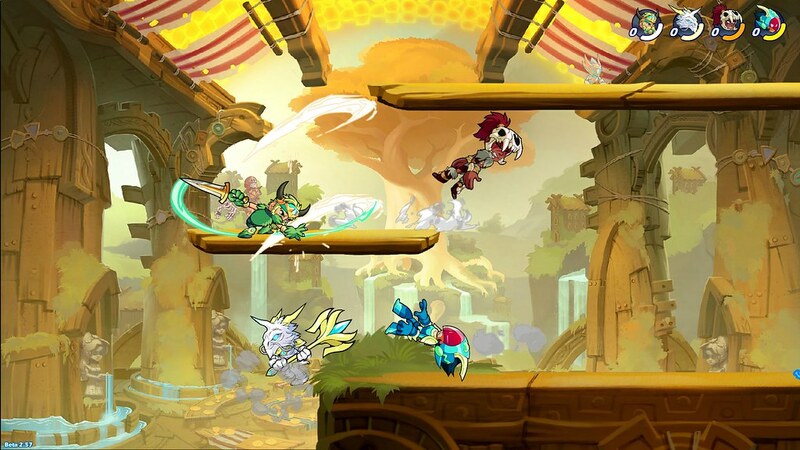 Brawlhalla is coming to PlayStation, and we’re finally ready to ask the community to help us polish the final product. Sign up and reserve your spot in the closed beta starting soon. We are very excited! 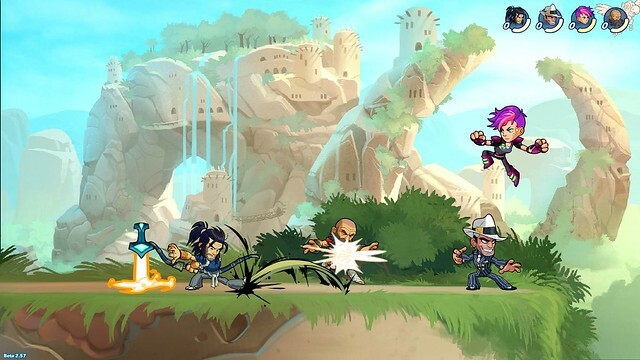 If you aren’t familiar with Brawlhalla, imagine a classic platform fighting game – you pick a character, and then run, jump, dodge and hit until you knock your opponent off the stage. (Or you get knocked off yourself – it happens.) Next, imagine you can pick up weapons that completely change your playstyle mid-match. Now imagine this is happening in Valhalla, a golden hall filled with the greatest warriors from every time and place, where Odin has created the Grand Tournament in a vain attempt to keep these warriors from tearing the place apart. Now imagine you have triple jump, you didn’t pay anything for the game, and you’re having tons of fun fighting with three friends on the couch, and four more online. Now imagine it all in glorious, hand-drawn 2D. We built Brawlhalla from the ground up to play great online, to be very easy to pick up and play, and to be free-to-play — not pay-to-win. Then we put in playable vikings, ninjas, aliens, pirates, cowboys, werewolves, knights, androids, superheroes and much more. So we think you’ll really like it. Casual Brawlhalla is fun, but competitive Brawlhalla is where things get really good. Be like me, and join the ranked queues and climb from Tin rank all the way up to high Silver. Maybe low Gold. Or be like everybody else at Blue Mammoth Games and reach Platinum or even Diamond rank. Tournaments, both online or offline, are going on every weekend. The biggest tournament of the year is the Brawlhalla World Championship. For the second year in a row, the best Brawlhalla players will gather from all over the world in Atlanta to settle who is the best of the best. Of the best. So please join us in the closed beta starting soon by signing up now. 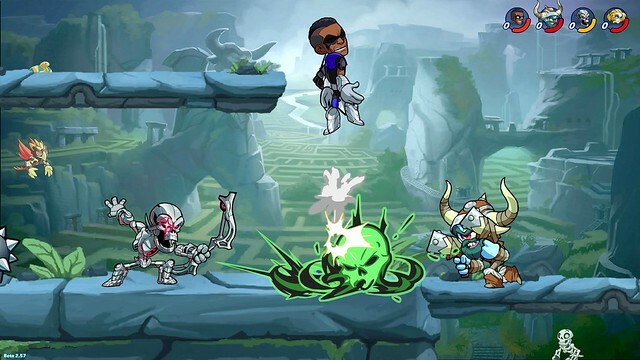 As a special thanks, at launch everyone who participated in the Brawlhalla beta will get an exclusive “I was in the beta” in-game avatar, and a free character unlock. And look for Brawlhalla’s full release this summer. We can’t wait!